What are you agreeing to when you say “I do”? But then real life sets in, bringing with it disappointments and frustrations. If the couple isn’t intentional in their day-to-day interactions, that once enthusiastic “we” can slowly revert to “you” and “me.” Before long, the couple’s left wondering what happened to their team spirit. 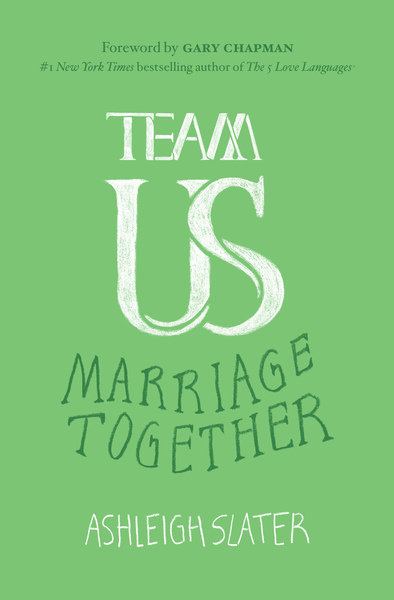 Team Us offers couples practical ways to cultivate and strengthen unity in their marriages. Author Ashleigh Slater shares from her own marriage as she presents couples with realistic ideas on how to foster cooperation, deepen commitment, and exercise grace on a daily basis.